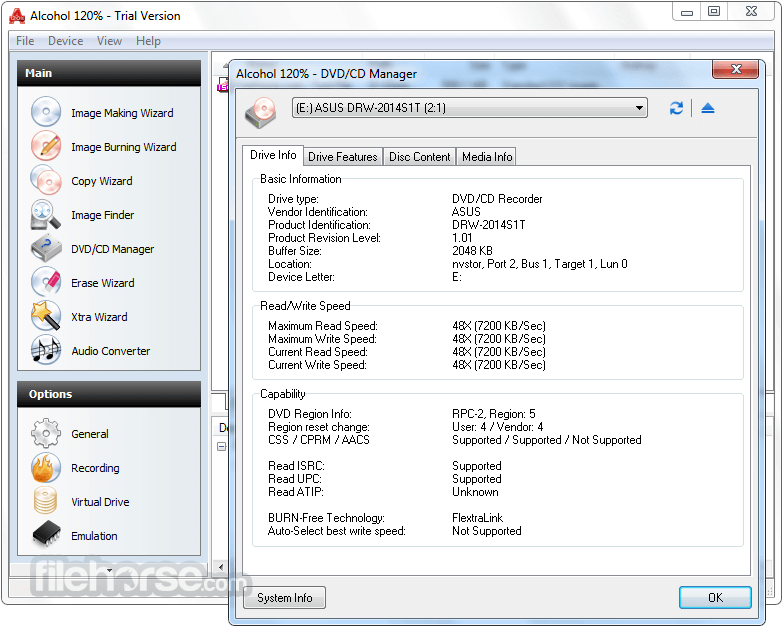 Alcohol 120%, is a powerful Windows CD and DVD burning software that makes it easy to create backups of DVDs and CDs. 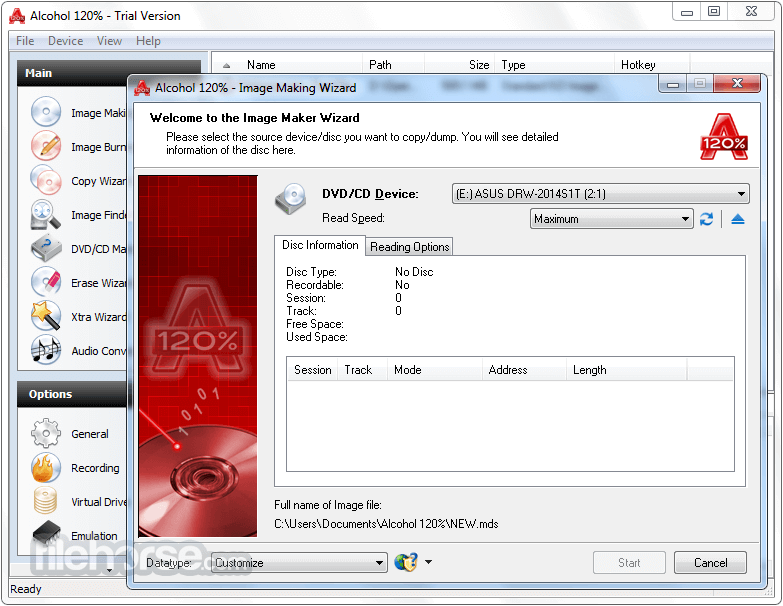 Additionaly, the program lets you store your most used CDs as images on your computer, and you can mount them on 1 of the 31 virtual drives with a click of a button. 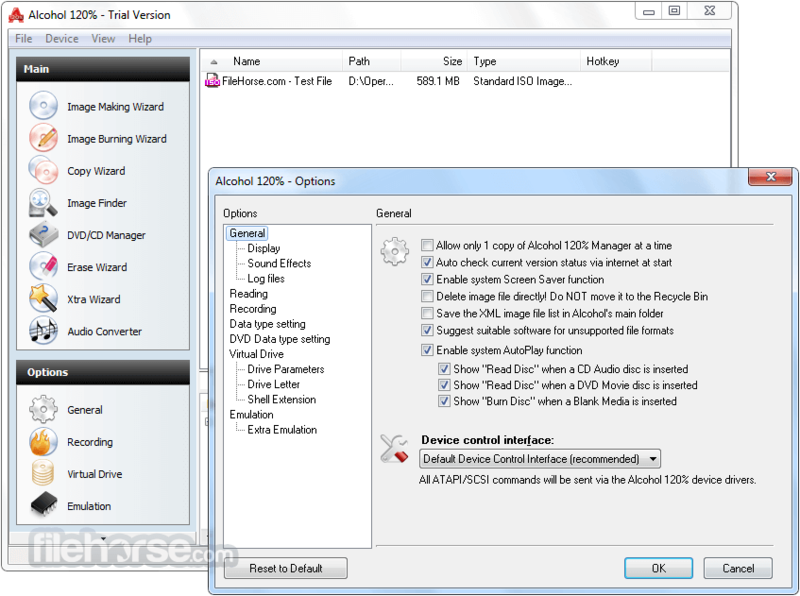 Alcohol 120% burning software includes a Pre-Mastering function which lets you burn files directly from your hard drive, and supports Blu-ray format and HD DVD. Compatible with all Windows 32 and 64 bit operating systems up to Windows 8. Note: 15 days trial version. Limited functionality.